Gingivitis is a serious disease that can result in detrimental consequences if left untreated. It can result in significant deterioration of the teeth and gums. 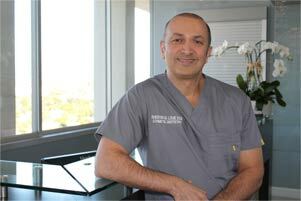 The right treatment can be provided at the office of Dr. Shervin M. Louie, who specializes in scaling and root planing procedures in Los Angeles. This condition can result from the buildup of plaque and tartar in your mouth. When these remain in a stale environment and are not treated effectively, bacteria can grow and quickly multiply. An excessive amount of bacteria can cause the gums to be irritated and inflamed. A prominent result of inflammation is bleeding of the gums. Through a root scaling and planning procedure, gingivitis can be conveniently resolved. The teeth will be polished and cleaned to eliminate any traces of plaque. Tartar is also removed from the surface during the scaling process. Root planing is different in that the surfaces are smoothed over and infected tissue is removed. Scaling and planing does not involve intensive surgical procedures, so they can be provided without anesthesia. More serious cases of gingivitis may require the treated gums to be numbed. One area of the mouth will be treated for each appointment. This will provide ample time for healing and reduce treatment time.